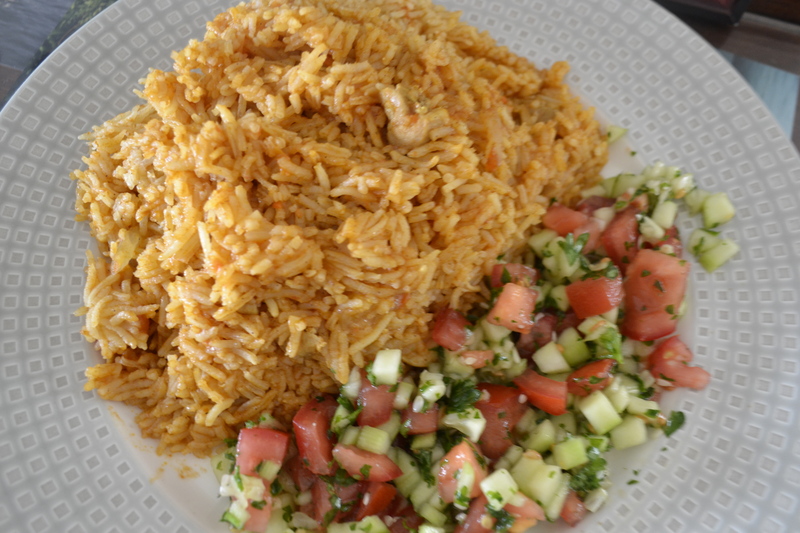 I think the best way to describe Kabsa is….. Chicken and Mashed Potatoes? 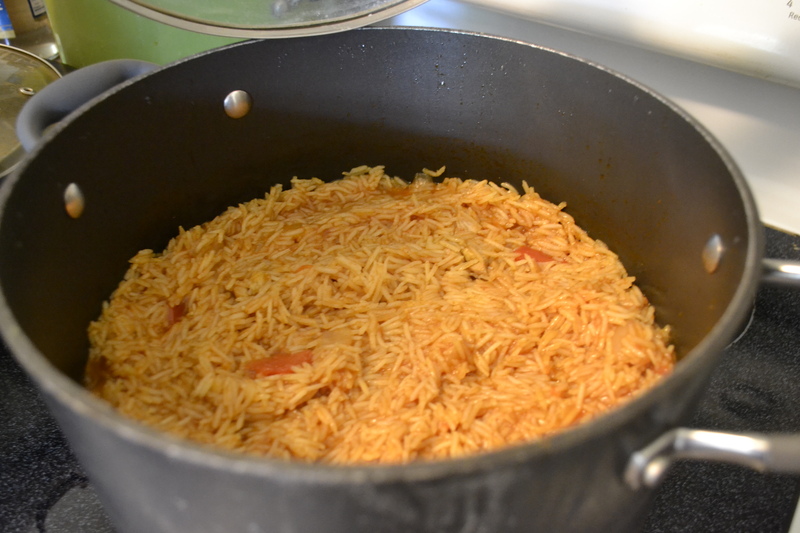 Kabsa is a staple food in Saudi. 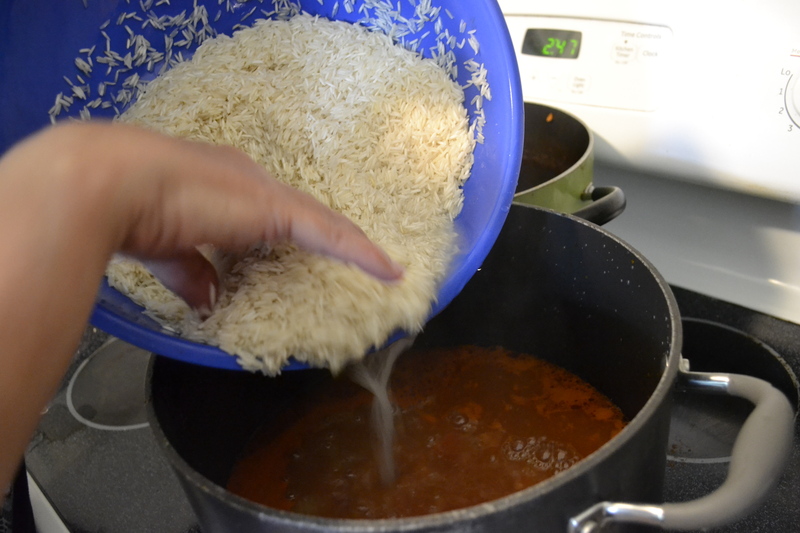 It is a very popular rice dish with meat or chicken, spices and rice. I guess it might be like our mashed potatoes and fried chicken or burgers and fries, a very common and popular dish. Like most Middle Eastern dishes it is made many different ways. I have eaten Kabsa at many Saudi homes and have tried it at restaurants as well. So this is my version. My kids love Kabsa!! Chicken, whole chicken cut into pieces or chicken breast cut into pieces. I prefer chicken breast cut into chunks it is easier for me to work with and cook. 1 Tbs. Kabsa spice–found in Middle Eastern stores or a variety of spices will do. 1/2 tsp. turmeric, 1/2 tsp. cumin, 1/2 tsp. allspice 1/4 tsp. cinnamon etc. If you can find the actual mix of spices that would be great! It is all about what you like so put spices that taste good to you. 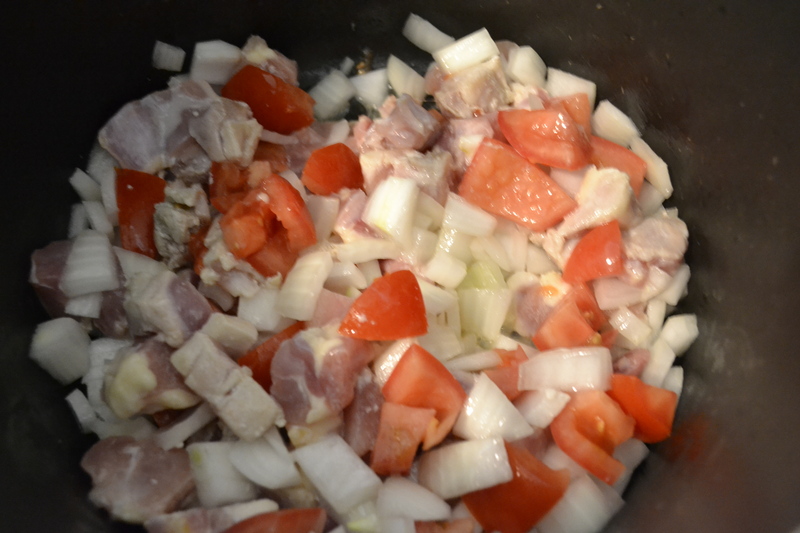 In a large pan add Olive Oil and onion, saute, add chicken and continue cooking. Add tomatoes and carrot. Add water to cover chicken and this will be the water for cooking the rice so quite a bit. Sorry I do not measure so this is as good as it gets! It’s like making soup at this point so we need allot of water. Now let this boil, turn down and cover. Keep a low boil to cook the chicken. Add salt, spices and tomato paste. Stir well. I let this simmer well after the chicken is done to get a nice flavor going. When the chicken is well cooked turn off heat. Use a slotted spoon to remove the chicken, onions and all the chunky yummy stuff! Put it aside for a minute. In a medium size sauce pan measure 4 1/2 cups of broth, cover and continue to simmer. Meanwhile measure your Basmati rice which is traditionally the rice used for this dish and I have put the amount of water specifically for Basmati. Rinse rice or do whatever the package requires for the rice. 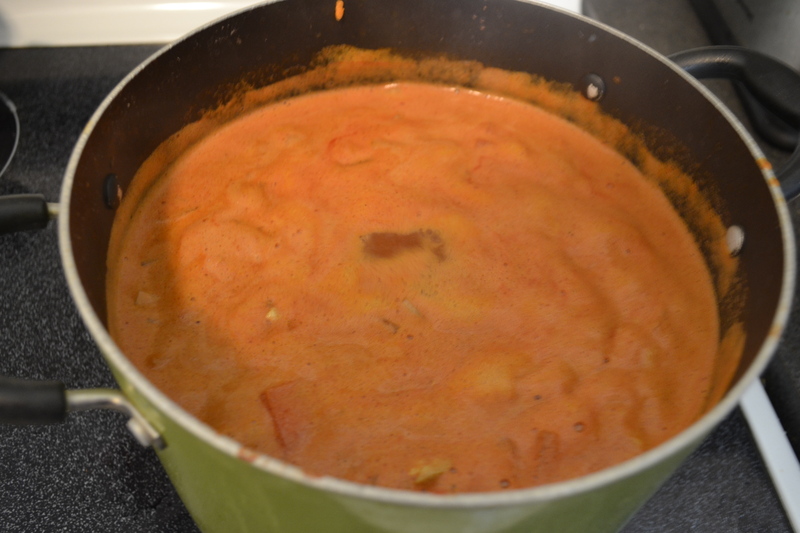 Now, place all of the chicken, tomatoes, onions, carrots in with the broth and bring to a boil, Add the rice and bring to a boil, let boil for 7 minutes, stir and cover, turn heat down to medium and let cook another 10 minutes. Turn heat down again to low and cook for 10 more minutes. Stir rice gently to prevent sticking to pan. This seems similar to chicken pilaf dish that I make except for the grated carrots. Lovely! I finally made this tonight Lynn…came out really well. Thank you for sharing this easy and great recipe. I am so glad it worked out well!